Do you believe that willpower determines success? Many studies show that willpower is the key to improving a lot of things. Have you heard of David Blaine? 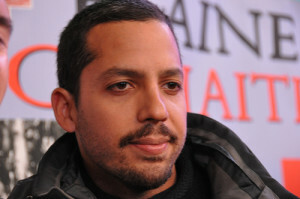 David Blaine locked himself in a block of ice and sat motionless for 72 hours without sleep. He also held his breath for 17 minutes, televised on Oprah. I’m mentioning David Blaine because he shows us that we can in fact build up our willpower to do amazing things. Studies show that willpower can be strengthened quite easily. The method involves looking at willpower as a muscle. You can lift a heavy weight for so many reps and then your muscles get tired. If you rest and lift the weight again it will become a little easier. If you keep practicing your lifts the weight that seemed heavy will now seem light. The willpower muscle works pretty much the same way. You practice willpower and then recharge your willpower muscle and then you are able to apply more willpower and more willpower each time you practice. This practice of building what I call the willpower muscle will make it easier and easier for you to make goals and realize your dreams. I should be ready for our next web training tomorrow — and we’ll talk about how you can please any partner and have the deepest intimacy possible. No need to hold your breath for 17 minutes, lol. Lasting 30 minutes or more is a matter of how well you can relax. Relaxation is what lets you last. It’s when we tense up that we end it all — we reach the top of the mountain too quickly. Then we come and it’s gone and she still isn’t satisfied. This can occur in 5 or 10 or 15 minutes, but the fact is this. Women require longer to warm up. And the longer you can go at it in a fun and relaxed way, the greater the experience for your woman. Men aren’t designed this way instinctively so us guys have to figure it out some other way. Genetically, we’re designed to get up in a heartbeat when an available female is around. We’re here in this world because our ancestors, those guys before us, whipped it out and got it on quickly. The game was get the seed in her and let it sprout. That was maybe 10,000 years ago but in evolutionary terms, that’s nothing. We’re still built that way. We’re built to go at it quickly and dump our wad. But women are built differently and here’s why. Evolutionarily speaking, a woman needs a man. The man protects her, lets her raise children and shelters the weaker woman from all the injuries and threats. So women have been designed to out-last a man in the sack. They are designed to get every last drop out of you, and then some, lol. 2. That you the man gets wrung out and maxed out so you aren’t as likely to wander off to fertilize another female. This is why women take a lot longer to really get maximum interest in what’s going on — and also, women can easily have multiples. But men cannot easily have multiples. So when you’ve come you’re done, is what it amounts to. That’s why if you focus on relaxation you can last 30 minutes or more and help give her multiples. Then you can have yours and you both will be completely happy with how things turned out. P.S. Remember hit REPLY to ask a question, as I read all the emails that get sent to me. P.P.S. To see if this is available still, go here. If it says “full” I’m sorry.